Joint meeting of the MEP Interest Group on Brain, Mind and Pain and the Interest Group on Mental Health, Wellbeing and Brain Disorders, hosted by Marian Harkin MEP. Joop van Griensven (Pain Alliance Europe) welcomed participants and thanked all those involved with obtaining signatures for the Written Declaration on Access to Employment for those affected by neurological disorders and chronic pain conditions. Some 180 signatures were gathered, and while this is not enough for adoption of the Declaration by the European Parliament, this result is positive nevertheless. The work will continue as the Written Declaration will now become a Call to Action (#makeworkwork). 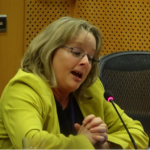 Marian Harkin MEP (below) welcomed the cooperation of the two Interest Groups – Brain Mind and Pain and Mental Health, Well-being and Brain Disorders – and the three organisations behind these Interest Groups, i.e. EFNA, PAE and GAMIAN-Europe. This cooperation is positive, particularly on a topic as relevant as the European Pillar of Social Rights and the way this could be optimised to make a real difference to the lives of Europeans. Marian Harkin underlined that, in these times marked by anti-European sentiment, the launch of a European Social Pillar is a welcome effort to mainstream social fairness and social protection. She also thanked all those involved with the work on the Written Declaration, which has helped to raise awareness of the issues faced by people affected by pain and neurological conditions with respect to employment. These conditions have a strong impact on quality of life of patients and on their carers. 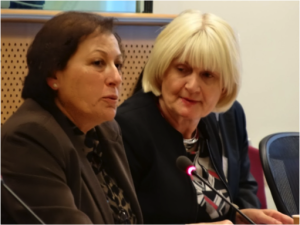 Dolores Gauci (GAMIAN-Europe) (left) took over the chair, stating that her organisation warmly welcomes the Commission’s intention to come forward with a comprehensive Pillar of Social Rights. This will guide policies in a number of highly relevant fields which are essential for well-functioning and fair labour markets and welfare systems. It will be very interesting to see what the actual Pillar will look like when the 16.500 online submissions and 200 position papers received as a result of the consultation will have been analysed and incorporated. While it is of course regrettable that mental health in not mentioned explicitly in the preliminary outline of the Pillar, there are many points of entry and opportunities to use as hooks for future advocacy efforts, such as the Articles on healthcare (Article 12) and long term care (Article 17). It is heartening to see that it is clearly stated that all citizens should have timely access to good quality preventive and curative health care. Also, it is stated that access to quality and affordable long-term care services, including home-based care, provided by adequately qualified professionals shall be ensured – and these provisions obviously apply to those with mental health problems as well. In addition, there are many provisions relating to employment and working conditions – of crucial importance to people living and working with mental health problems. The Social Pillar will not be binding – that would go against EU competence. However, it will provide a good example and useful guidance to member states and policy makers in charge of social and health policies. 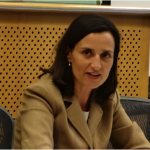 Dolores Gauci then gave the floor to Raquel Cortés Herrera (European Commission, DG EMPL) who presented the rationale and content of the Social Pillar. 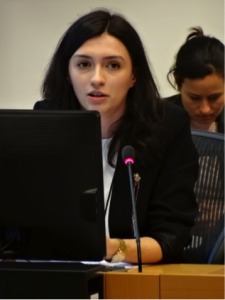 As the Pillar is in the process of being adopted, it is not possible to prejudge the final content and format, but Raquel Cortés did underline the current Commission’s commitment towards social policy, with the Social Pillar being the most prominent example of this commitment. It will determine the current Commission’s mandate and activity in the social arena. The initiative was announced by President Juncker in his State of the Union address in 2015 and then included in the Commission’s Work Programme (CWP) for 2016. A 9-month public consultation was organised to take stock and gather the views of citizens and stakeholders. This consultation came to an end in December 2016 and the Commission is now working towards finalising the Pillar. During this long consultation (one of the longest ever organised by the Commission) many events, national seminars and direct contacts took place to discuss and gather feedback. The consultation took place on the basis of a Communication, providing a reference framework outlining the main basic principles of what should be the European social model. This model has worked in the past but it is important to check whether it is still fit for purpose, whether there are gaps and which objectives the national level should be stimulated to strive towards. It is important to understand that the Pillar as such is based on the current acquis and does not create new rights. Overall, the consultation has pointed out that the current framework does not have many gaps – rather, there are problems with the implementation. This is why the Commission would like to boost upwards convergence and develop an instrument to push the national level to do what that they should have been doing already. Equal opportunities and access to the labour market: This includes skills development, life-long learning and active support for employment. Fair working conditions: Needed to establish an adequate and reliable balance of rights and obligations between workers and employers. Adequate and sustainable social protection: This includes access to health, social protection benefits and high quality services, including childcare, healthcare and long-term care, which are essential to ensure a dignified living and protection against life’s risks. Each of these chapters contains a number of principles that are of general application. They do not address directly the needs of specific population groups but are however relevant to them. The geographical scope – the Pillar only targets Eurozone countries – has created unease amongst stakeholders as many respondent have pointed out that the principles outlined in the Pillar are relevant to all Member States. However, other Member States can join on a voluntary basis, depending on the political will of their governments; they are not excluded. The Commission aims at adopting the Social Pillar in the spring and will then look at how to make its principles operational, by means of a variety of tools it has at its disposal, i.e. legislation, non-legislative proposals, funding, etc. Raquel Cortés underlined that, in implementing the Pillar, the principle of subsidiary will be fully respected. However, the Commission will make use of the tools available to push for national reforms in order to get to the set objectives, e.g. the European Semester Process. Existing funding possibilities will also continue but these will be more orientated towards the objectives of the Social Pillar. Where possible and necessary, the Commission will come forward with legislative proposals. In any case, the work on the Pillar will be accompanied by a package of other social initiatives, such as the work on life/work balance, active inclusion and others. In all these processes the role of civil society will remain crucial; the adoption of the Pillar is the beginning of a process rather than the end. Donna Walsh (European Federation of Neurological Associations) (left) then spoke. She briefly introduced the focus areas of the MEP Interest Group on the Brain, Mind and Pain, i.e. stigma, quality of life (employment, education), patient involvement and research. EFNA has submitted a joint response with Pain Alliance Europe to the Social Pillar consultation. EU social legislation is central to employment and educational opportunities for those affected by brain, mind and pain disorders. Although the Employment Equality Directive eliminates discrimination on grounds of disability in employment and vocational training there is no common definition of the term ‘disability’ across the EU, which hinders implementation of the Directive. The more ‘social’ definition provided by the UN Convention on the Rights of People with Disabilities should be adhered to as this provides more scope than the narrow medical definition. Do we need more legislation of better implementation? It is within EU competency to coordinate the employment policies of Member States; this is formalised in the Europe2020 Strategy and implemented via the European Semester Process. Europe2020 aims to increase the employment rate amongst 20-64 year olds to 75% and reduce by at least 20 million the number of people at risk of poverty and social exclusion. However, given demographic ageing and higher retirement age, resulting in an increasing prevalence of chronic conditions in those of working age – these targets cannot be met without measures to assist those affected to be retained or reintegrated into the workforce. Health at work is not just a socio-economic issue. In order to avail of the opportunities to access employment that the European Social Pillar could provide, people living with brain, mind and pain disorders need early and accurate diagnosis as well as appropriate treatment and management. 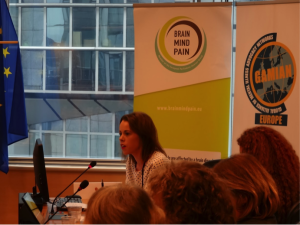 Big health inequalities persist across the EU; for instance, two thirds of people with brain disorders receive no treatment and 40% of people with chronic pain report that it is not adequately controlled. Therefore, the EU and its Member States must acknowledge that accurate, early diagnosis and appropriate treatment/management are necessary to enable those with chronic conditions to optimise the social acquis covered by the European Social Pillar. Improving Europe-wide access to existing treatments and supporting the development of innovative medicines to better treat these conditions is an important part of supporting employment and economic productivity amongst patients and carers. The European Social Pillar must span and be embraced throughout all relevant EU Commission DG’s and underpin all aspects of its work. EFNA can contribute to the implementation of the Social Pillar by optimising its network to inform the process with a patient perspective, feedback on implementation successes and failures, disseminate information and use the Brain, Mind and Pain Interest Group to promote and share best practice. A Call to Action on Access to Employment for People with MS was launched in 2015, supported by over 70 MEPs. ‘Believe and Achieve’: a paid internship programme aimed to create opportunities for young people with multiple sclerosis to develop their professional skills through partnerships with businesses across Europe. ‘Paving the Path to Participation’: a project supported by the European Commission that looks aimed to stimulate policy change that will support maximum participation of people with MS in the European labour market. ‘Employment Pact’: asking businesses, people with MS and other neurological conditions to commit to safe, healthy workplaces, where people know that, if they are diagnosed with a chronic illness their employer has the tools in place to help them stay in work. An ‘Employment Guide for Healthcare Professionals’: developed in cooperation with the Work Foundation? guide for neurologists and other health care professionals to help them hold effective conversations regarding work with patients with MS. EMSP is currently working to use the Pact and the Toolkit for Employers at national level. In relation to the Social Pillar, EMSP has submitted a response which focuses on the need to tackle inequalities and make the necessary changes to make sure EU legislation is being applied at national level in order to put an end to discrimination. EMSP pledges for the empowerment of people with disabilities as they need to have access to the right tools and information in order to stand up for their rights. As already underlined by Donna Walsh, because there is no common definition of disability, accepted and implemented in all Member States, determining eligibility for income maintenance is still difficult. This leads to employers finding gaps in the law and patients being discriminated. The Social Pillar will also need to enforce a minimum income scheme for people with disabilities, to ensure their rights will be respected, as recommended by the United Nations Committee on the Rights of Persons with Disabilities. Brain disorders cost more than €800 billion each year. Helping people with MS and chronic conditions stay in employment is beneficial not only for the individual, but for the European economy as a whole. We need to educate the employers and provide them with the right tools and support to make the necessary adaptations and very importantly, work needs to be considered a clinical outcome. 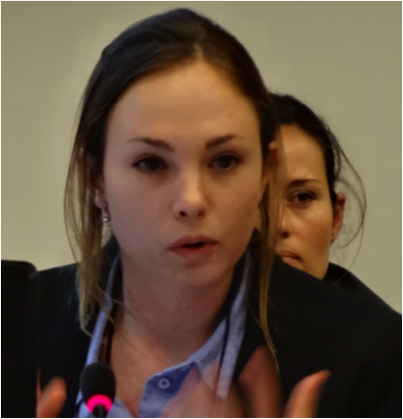 The final panelist was Katie Gallagher (European Patients’ Forum), who briefly introduced her organisation and its mission. EPF’s vision is that all patients in the EU should have equitable access to high-quality, patient-centered health and social care. However, inequalities persist both in terms of access to healthcare and quality of care, within and between Member States. EPF has also submitted a response to the Social Pillar consultation. This emphasises that the Social Pillar should apply to all Member States rather than to the Eurozone countries only. Appropriate means and tools need to be defined to support implementation, including indicators to monitor Member States’ accountability. Access to healthcare should feature prominently within social rights, given that this is a fundamental right enshrined in the EU Treaties, and inequalities in access have a negative impact on society as a whole. EPF also emphasises the empowerment of people in relation to their health and social rights through provision of information, awareness and health literacy – this is necessary to make theoretical rights a reality. Equal treatment in education and employment for vulnerable groups, such as young patients with chronic and long-term conditions who face discrimination and barriers in education and in entering employment needs to be guaranteed. There is a need to provide more support for informal/family carers. Discrimination on grounds of health status in the workplace should be prohibited; workplaces should be accessible and provide reasonable accommodation. EPF has recently launched a campaign with the aim to achieve universal health coverage by 2030, including financial risk protection, access to quality essential health-care services and access to safe, effective, quality and affordable essential medicines and vaccines for all. 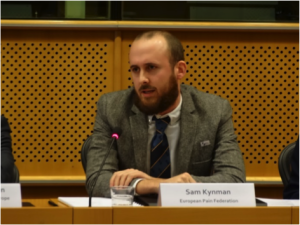 The final speaker, Sam Kynman (European Pain Federation EFIC) gave a brief presentation of his organisation’s campaigning and advocacy work to raise awareness of the personal and societal impact of pain. As national governments are as important as the Commission and Parliament in determining the topics that feature on the social and health agenda, Sam Kynman made a strong case to target national governments to effectuate change. He illustrated this need with an account of EFIC’s (successful) efforts to put pain on the Maltese Presidency agenda. These efforts have met with success for a variety of reasons: identification of strong local champions and determining the common ground, forging alliances, working in partnership and seeking as much contacts with relevant policy makers as possible. Moreover, it is important to bring all relevant stakeholders together. EFIC represents health care practitioners and actively works with patients, the health industry and other partners to raise awareness of the personal and societal impact of pain and to improve policies for those affected. EFIC will organise a large symposium during the Maltese EU Presidency (where the Maltese President will speak), as a direct result of advocacy efforts. The Italian Presidency (2014) also paid attention to pain and its impact and EFIC will concentrate on the Estonian Presidency next. These are small but necessary steps which will create the required momentum at some point – someday pain may be used as an indicator for health policies across the EU. Participants referred to the recent Commission White paper on the future of Europe, where one of the scenarios presented proposes doing much less in the areas of health and social policy. It is hoped that this will not hinder the efforts of the Commission to boost these areas by means of the Social Pillar. Fortunately, not all scenarios presented are equally pessimistic. Questions were asked about the geographical scope of the Social Pillar and whether limiting it to the Eurozone will not create wider divisions between the countries. Non-Eurozone countries can of course join on a voluntary basis, depending on the will of the individual governments. Questions were asked about how the European Parliament can influence this movement towards a more social Europe as social policy remains the competence of the national level; there is a dilemma as Members of the European Parliament present in the meeting indicated that on many occasions, Member States do not like initiatives that are perceived as interfering with national competence. Brexit has partly resulted from this view. There are wide misconceptions about the power of the Commission; people need to be more aware of the power of national governments. Brenda O’Brien (OSHA) informed participants of a recent country-by-country analysis of return to work policies, by country, by policy and by company; this work was funded by the European Parliament. The report is easily accessible and informative, and was prepared against the background of the ageing of the workforce. It can be found at www.Healthy-workplace.eu. In conclusion, Nessa Childers MEP (left) called on participants to keep on raising their voices and stimulating awareness as many of the health conditions that have an impact are still not visible enough. We need to work together as the more these topics are spoken about the more impact they will have. Marian Harkin MEP closed the meeting with two messages: the first related to the importance of connections, i.e. MEPs feeding all comments on the Social Pillar presented today into the system that would eventually produce a Social Pillar, connecting to the right people to put the messages across (like in the Maltese example) and connecting the important work of OSHA to the work done by the NGOs, which is a two-way process. The second related to the fact that it is the responsibility of us all to ensure a social Europe in the future, where the voice of citizens counts.